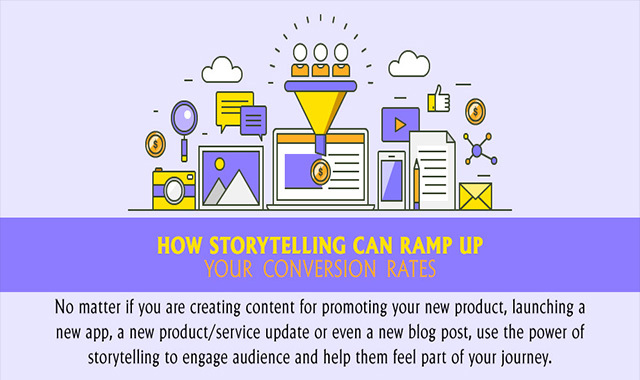 How Storytelling Can Ramp Up Your Conversion Rates #infographics ~ Visualistan '+g+"
Storytelling is not about creating a narrative with an advert, it is about telling a real story behind your brand across multiple channels using different techniques. Storytelling, if used effectively, can give credibility and personality to your brand. Your business can build more personalized and meaningful relationships with customers by either highlighting the real people behind, creating a unique brand voice across different marketing channels or simply by using the history of brand to increase your brand visibility and authenticity of your story.